Introducing a classic. The 3420 Limited Edition by Epos eschews excess but refuses to compromise on finish. 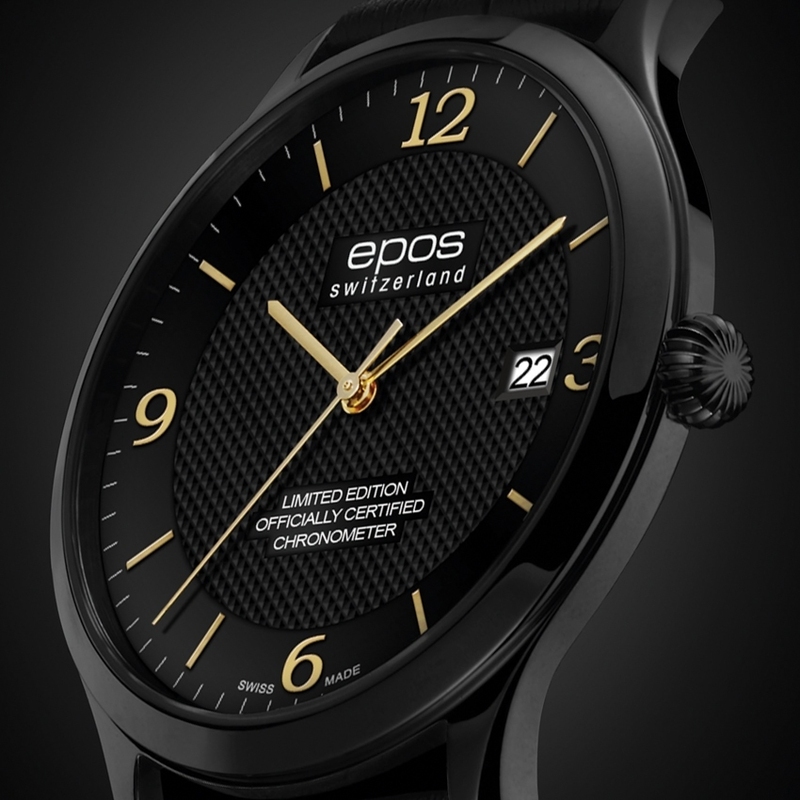 This COSC-certified watch is driven by an automatic ETA 2892 calibre, open to view through the transparent back. The three hands - hours, minutes and seconds – sweep its 40mm round dial. This elegant black and gold landscape is punctuated only by the date window at 3 o'clock. The 7mm case height makes this an eminently comfortable watch to wear while its limited-edition status – 100 pieces in steel, 200 pieces in black PVD – ensures a certain exclusivity.